Help your child make the connection between the letter O, the zeros they learn in math, and the circles they draw in art class. Help children make the connection between the letter O, the zeros they learn in math, and the circles they draw in art class. 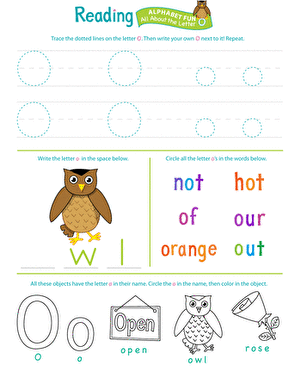 Teach your preschooler all about the letter O with this practice-packed worksheet. With four different letter O exercises to do, it's sure to keep his interest. Things that Start with O! 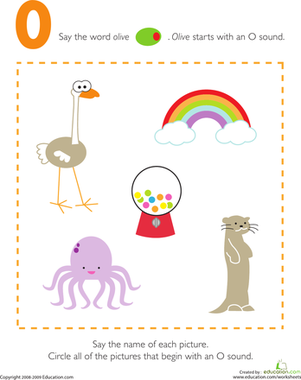 There are things that start with O on this printable, can your child find them? It's great alphabet phonics practice, which will help with reading. On your mark, get set--O! Find the words that begin with the letter O in the pictures below and put them in the book. O is for olive! Kids completing this prekindergarten reading worksheet circle the pictures that begin with an O sound. This worksheet is good phonics practice. First, kids trace lines on this prekindergarten writing worksheet to strengthen the fine motor skills needed to form the letter O. Then they trace the letter O! 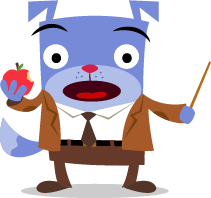 Kids sound out short A vowels and drop objects into the correct backpacks. Give your child number lines and manipulatives that they can use as they work through subtraction problems and double-check their work. Give students number lines and manipulatives that they can use as they work through subtraction problems and double-check their work. Visual and numerical cues serve as an introduction to subtraction as your kindergartener gets ready for elementary school arithmetic. 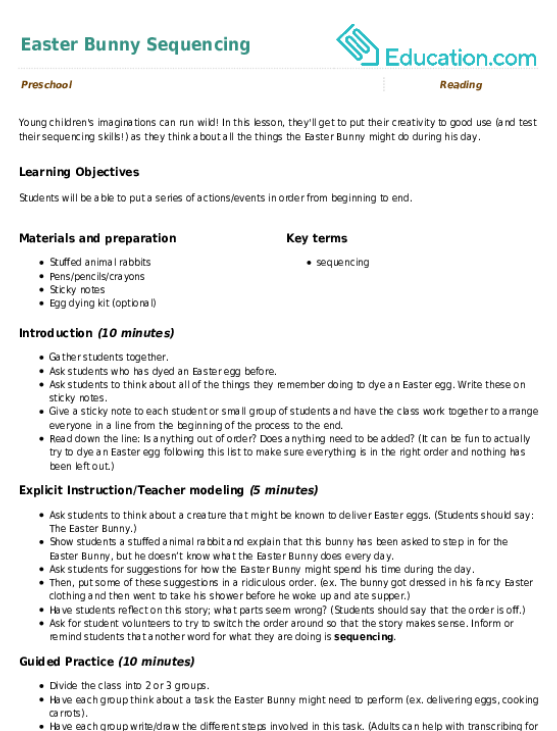 Put your little carpenter to work and count the tools! This beginning math worksheet will get your kindergartener ready for elementary school subtraction. How many circles and squares can you count? Get your kindergartener ready for elementary school math with this introduction to subtraction worksheet. Cross out butterflies to learn subtraction basics in this math worksheet. Kids will solve subtraction problems by crossing out pictures of butterflies. 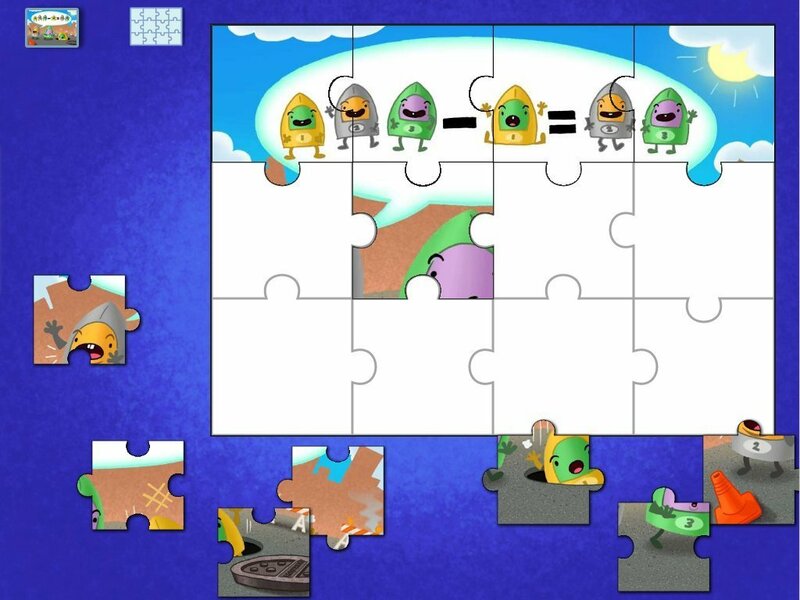 Kids learn all about taking away in this interactive puzzle with a subtraction image. 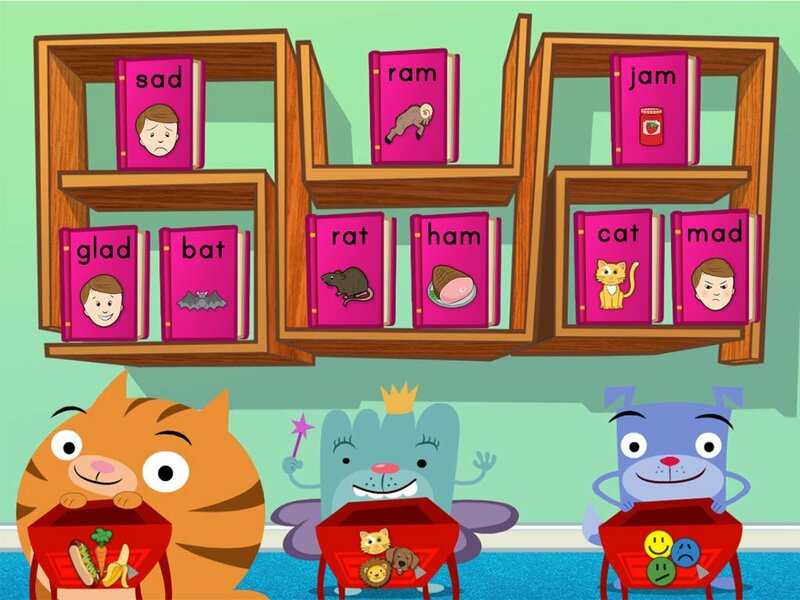 Long vowel sounds "say" their name, so spend lots of time saying letter names this week! Emergent readers practice distinguishing between long U and short U sounds with this cut-and-paste activity. What different sounds does the letter "O" make? 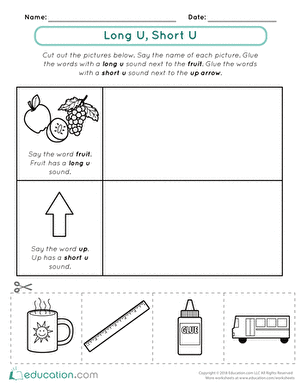 Help your child sort out vowel phonemes with this wordy worksheet. First graders practice recognizing long e by coloring the pictures that have a long e sound. Children practice their spelling as they organize the objects on the page by vowel sound. 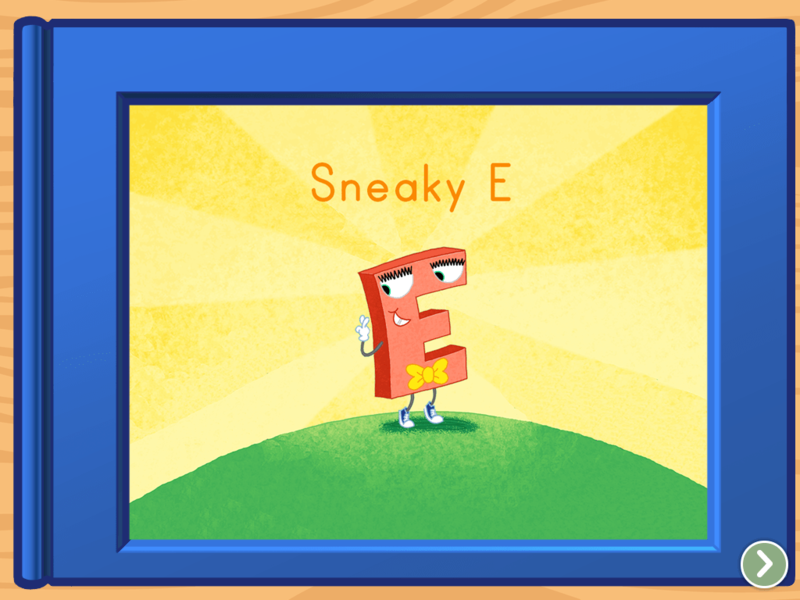 Find out what happens when Sneaky E attaches itself to short vowel words in this interactive story that teaches vowels (and kindness, too). Use your child's daily schedule to model sequencing. Can they describe their day in order by writing one sentence for each part of the schedule? Use the class daily schedule to model sequencing. Can students describe their day in order by writing one sentence for each part of the schedule? Build your kindergartener's logical thinking skills by asking him to connect pictures that show what came first and what comes next. 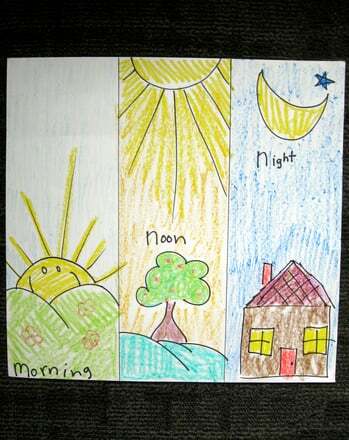 This worksheet helps preschool students practice sequencing in a hands-on way, by learning about the importance of morning routines. In preschool, your little one should be learning what we call "common knowledge." In this worksheet, she'll label each picture as first, next or last. Does your kid know how to mail a letter? Make sure he can get it right with this fun worksheet where he labels which steps go first, next and last. This arts and crafts activity explores triptych painting while encouraging your preschooler to increase critical sequencing and early literacy skills. Young children's imaginations can run wild! In this lesson, they'll get to put their creativity to good use (and test their sequencing skills!) as they think about all the things the Easter Bunny might do during his day. Quickly assess each student's level across key skills for pre-K. 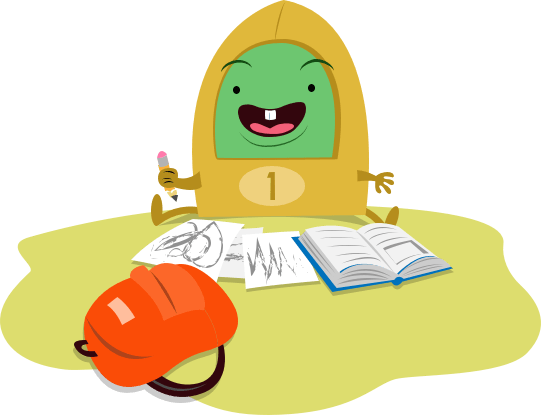 Designed by our expert educators, our assessment packet makes it easy to help every child catch up, learn more, and get ahead.